Oh you guys we have the BEST way to start your new week! Display them in your home, use them as note cards or gift cards or post cards. I keep these “notes to self” as visible reminders of the kind of friend I want to be in my every day, dishes-still-in-the-sink life. What are you waiting for, eh? 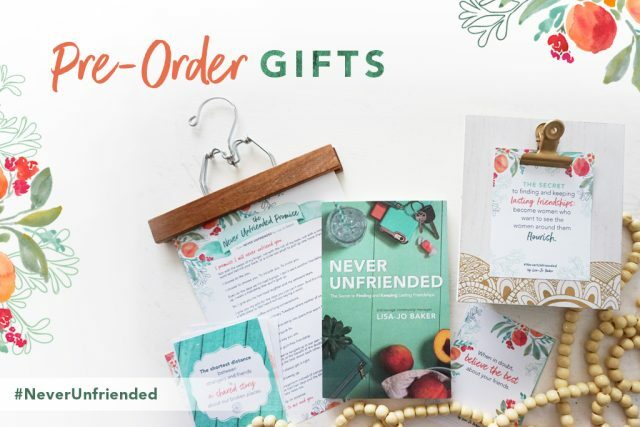 Jump over and visit the Never Unfriended site, check out our Friendship Confessions video and pre-order your book and get your goodies! Visit Never Unfriended for fun and free goodies now. Click here.